Wrens… come out to our last meeting before the summer break! June 17th at noon at the Naval Club. Here’s How To Get Your Service Records. The need for service records comes up every so often. Please keep the following information for future use. Canadian – Service Records, ATIP Personnel Records Div. Library and Archives Canada 395 Wellington St. Ottawa ON K1H 0N4. 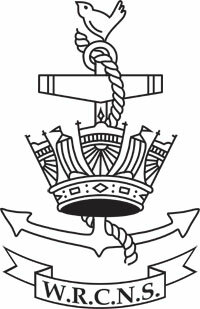 British – Director of Naval personnel, Navy Search, TNT Records Management. PO Box 7814, Tetron Point, William Nadin Way, Swadlincote, Derbyshire DE11 1EG navysearchpgrc@tnt.co.uk. We have chosen Canadian Military Heritage Museum [a volunteer All Service Museum] in Brantford, Ontario, for Material and Display items. And donated approx. 20 organization yearly scrapbooks and some Jenny Wren Times Newsletters to the City of Toronto Archives. and Naval and Military Museum [HMCS Chippewa] in Winnipeg Manitoba. We have notation that some earlier wren materials were given to the Canadian War Museum. The National Library holds all copies of the wartime publication ‘Tiddley Times’ regarding Wrens at Bases during the war years. Primarily paper or photographs HMCS Conestoga, and Wartime Records, Post War Records, Reunion and Miscellaneous Items. Primarily Uniforms (Wartime and Postwar) and Material Collections, Secondary Archives, Reunion and Miscellaneous Items. There is/was no national Wren Organization…at the moment – 2014- only Winnipeg and Halifax and Toronto have meetings. There were earlier organizations in Victoria, Vancouver, Edmonton, Thunder Bay, London, Hamilton, Kingston, and Ottawa. In the case of the WRCNS W/T SO’s:-in Canada,at Gloucester or Coverdale, or at Gordon Head. LORAN stations, Baccaro or Deeming medicinereal.com whether in the ops room, the ‘Z’ room or the shacks. On behalf of Her Majesty’s Government, GCHQ is delighted to recognize the vital service of those who worked at Bletchley Park and its outstations during World War II by presenting surviving veterans with a commemorative badge. These outstations include Canada. If you know of anyone who served in this capacity (this includes WRENS) please note the contact. Click on this link to read our posts about benefits, pins, badges and the like. ‘Navy Lady’ is a trademarked Rose bush and will be available in the Spring 2016. The Grower is JC Bakker and Sons, Limited of St Catharines, Ontario. Please contact your local retail garden store and request one for your own garden. We don't have this year's availability list yet, but click here for the pdf of availability from last year to see where you may obtain one of our lovely red rose bushes for your garden. Two new categories of membership now available. Associate members (Allied Forces, Police, Nursing Sisters, etc) and Social membership (Friends of the WRENs). Applications are to be sponsored by a Naval member and approved by the Executive committee. Click for the pdf application.